Protective Life Corp. has hired four Innovate Birmingham graduates and, according to Ben Podbielski, director of enterprise IT planning at the company, they have been exceptional. The first Innovate Birmingham student was brought on as an intern on a “let’s see how it goes” basis. The student did such an amazing job, Podbielski said, the company gave the green light to bring in more. Innovate Birmingham was created after Birmingham was awarded President Obama’s America’s Promise Grant for $6 million from the U.S. Department of Labor in 2016 to equip underemployed and unemployed young adults with resources they needed to advance into information technology (IT) jobs. It exists to recruit, train and place 925 individuals into IT jobs over four years, hoping to close the gap between supply and demand in the Birmingham tech sector. Innovate Birmingham launched in 2017 on the heels of receiving a $6 million America’s Promise Grant from the U.S. Department of Labor the year prior. In 2017 Innovate Birmingham launched programs to provide education in-house, free of charge, as well as provide scholarships to the University of Alabama at Birmingham (UAB), Jefferson State Community College and Lawson State Community College, all seeking to create a pipeline between talented people and employers in Birmingham. Protective’s relationship with Innovate Birmingham began after the company recognized it wasn’t bringing in as much entry-level talent as it would like. Podbielski said not only do these employees benefit the company, but the community they are a part of, and many are nontraditional students who are often overlooked by companies. So far, Innovate Birmingham has graduated 125 people, and every graduate has a story. 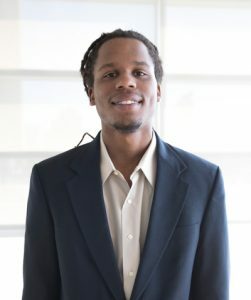 There’s Allante Jowers, who started as a student at UAB studying computer science but had to withdraw because of financial reasons. He took on a job as a cook at The Club, trying to make ends meet. When Innovate Birmingham launched, he became a part of the first cohort, looking to get into information technology, work he was passionate about. Now a graduate of Innovate Birmingham, he’s working at UAB’s Help Desk and has been the top-rated Help Desk employee since he started. He was recently promoted and is now finishing his degree at UAB. Then there’s Jake Downard. After graduating from high school, he served in the military for four years. When he returned stateside, he knew he wasn’t interested in college – he’d seen his friends go to college and knew that wasn’t the route for him. He was a server at Bamboo on 2nd when he started at Innovate Birmingham and became a top-notch developer. He’s now working at BBVA Compass as a developer. 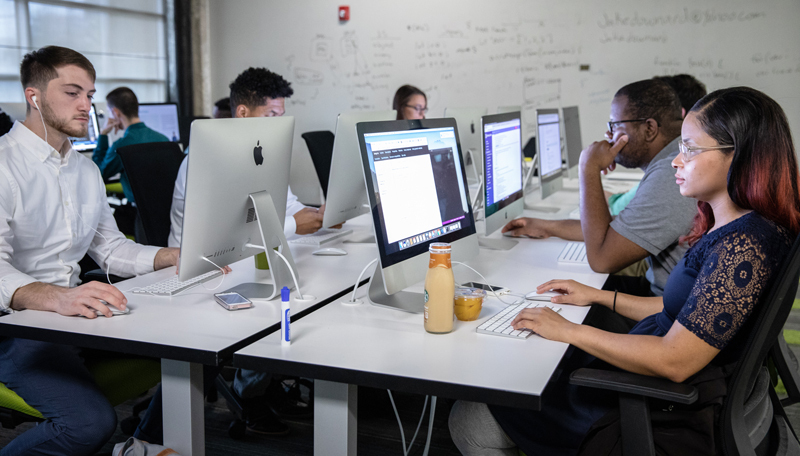 In addition to scholarships, Innovate Birmingham currently offers a software engineering bootcamp program in partnership with Covalence and an IT hardware bootcamp program. In the spring, it plans to pilot a data analysis workshop, Medved Kendrick said, based off of feedback from employers and local partners, including the Birmingham Business Alliance. Innovate Birmingham started with a coalition of 15 community partners – including the Birmingham Business Alliance – that were looking to help meet the IT talent need in the city and also provide young people with the opportunity to enter into a sustainable career. Since then, there have been 315 participants, and of the 125 that have graduated, 99 percent have earned a new credential, Medved Kendrick said. Three months after their graduation from Innovate Birmingham, 65 percent are in IT careers, including at UAB, Shipt and Protective Life Corp. The remaining 190 students are still completing the program. “Our goal is to get people into the workforce as quickly as possible and have the work fit with their goals,” Medved Kendrick said. It all ties back to the Building (it) Together report, which called for alternative education programs like Innovate Birmingham to help correct the workforce misalignment in the region. In tandem with the report, Innovate Birmingham will begin an apprenticeship approach to its education, allowing participants to learn experientially, partnering in real-life projects and exploring on-the-job training components. When it comes to hiring Innovate Birmingham graduates, Protective’s Podbielski encourages employers to keep an open mind, even if the graduates might not have a traditional educational path.